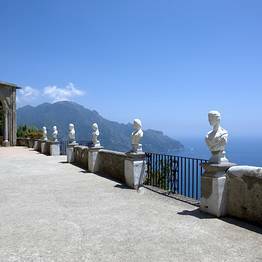 Ideally, you'll want to spend at least 4 or 5 days, even a week, exploring the Amalfi Coast. But, if you only have one day at your disposal, how can you make sure you experience the best of the area, without having to part with a fortune or collapsing under the stress of frantic site-seeing? ...you're on a Mediterranean cruise and your ship drops anchor in Naples: you have circa 8 hours to visit the Amalfi Coast and you decide to do so on your own, rather than join an organized shore excursion. What next? 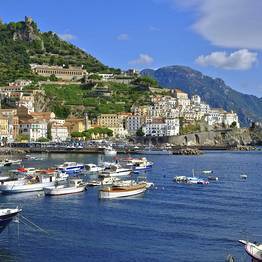 Our suggestions if you have just one day to visit the Amalfi Coast. 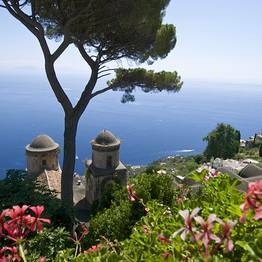 Book a chauffeur-driven car, and ask to be picked up at Molo Beverello: this is the only way to see Positano, Amalfi and Ravello in the same day. As you can see, weve left an ample margin (of 2 hours) to allow you to linger a little longer in one of the towns or make the occasional detour. .
A chauffeur driven car from Naples to the Amalfi Coast will cost you between 400 and 500 euro per day. If there are just two of you, you might like to try to find another couple with whom to share the cost. A lot of transportation companies have 8 seat minibuses and, if you travel with a group of friends, the cost per passenger reduces dramatically! 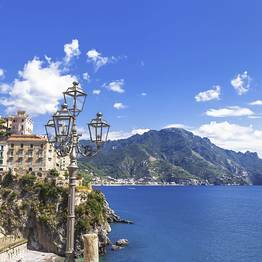 If you've got a limited budget and decide to travel by public transport, your best bet is to visit just one town on the Amalfi Coast. 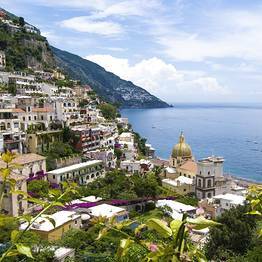 The most representative towns on the Amalfi Coast are, without doubt, Positano and Amalfi and they are also the best served by the area's public transport network. Unfortunately, sea connections between Molo Beverello and the Amalfi Coast have been suspended, leaving travelling over land, by public Sita bus, the only option. Buses to Amalfi leave from Varco Immacolatella, within Naples' port. With your back to the sea, turn right and after circa 200 meters you'll find the bus terminal. The journey from Naples to Amalfi takes approximately two hours (more when traffic is intense) and, due to the seemingly infinite hairpin beds, requires a strong stomach. If you decide to visit Positano, you have two options. Head to Naples' central railway station (by tram or taxi), and from here take the Circumvesuviana train to Sorrento, where you can catch a bus to Positano. From Beverello take a high speed ferry to Sorrento. If you are lucky, you'll arrive in Sorrento in time to board the high speed ferry to Positano (the service operates only in the summer season). If you are unable to catch the boat, you will need to go to Sorrento's railway station (by local bus or taxi), where the main stop for buses heading to Positano is located.